Super Smash Bros. Ultimate has arrived and everyone is here! Shacknews' Ultimate Character Profiles continue with another Masahiro Sakurai favorite. The months of waiting are over and Super Smash Bros. Ultimate has arrived, just in time for the holidays! Ultimate is the near two-decade culmination for Nintendo's flagship platform fighter. Everyone from all of the Super Smash Bros. games before this is back to fight once again, joined by a handful of all-new additions to the series. The game may be out in the wild, but with so many characters to choose from, Shacknews remains committed to taking a look at each and every one of the Super Smash Bros. Ultimate characters individually. And we are continuing to do so beyond the game's arrival date. The final version is in the consumer hands, but these profiles should still not be considered final and can be updated at any time. Any guide that has been updated will be clearly marked. Today, we look at a sentimental Sakurai favorite. 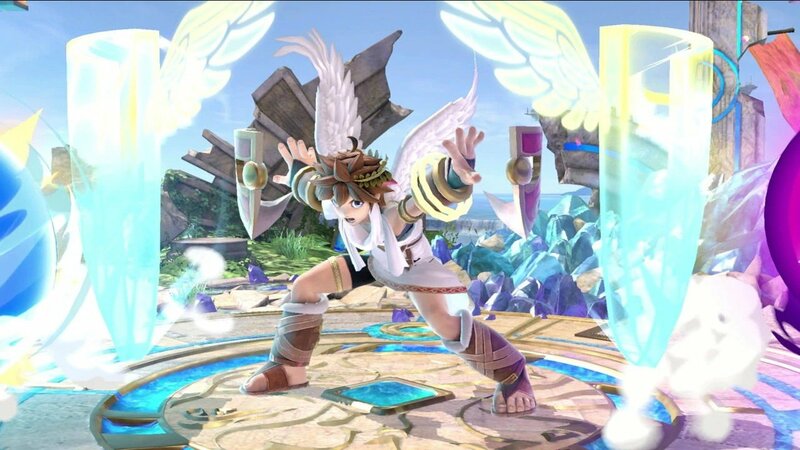 Pit is the main character of Kid Icarus. No, he's not Icarus. Is The Legend of Zelda green elf with a sword named Zelda? No, it's not! So this guy isn't named Icarus! But the confusion is understandable. Pit hasn't starred in many games since his NES original. Despite coming up with other first-party heroes like Mario, Link, and Samus, Pit has remained mostly dormant. Then Super Smash Bros. series director Masahiro Sakurai came along. Pit not only found new life as one of the most heavily featured additions to Super Smash Bros. Brawl, he played a central role in the Subspace Emissary adventure mode. But that was just the beginning of the character's modern reinvention. Kid Icarus: Uprising hit the Nintendo 3DS just a few years later. This was also a Sakurai joint and he completely redefined the character and his mythos, turning his world's aesthetic into an over-the-top anime style. Um... are we getting a new Kid Icarus game? Asking for a friend. Pit was strictly mid-tier in Super Smash Bros. for Wii U/3DS and remains so in Ultimate. His defining feature is his wings, which allows him to get some of the best recovery distance in the game. Pit can chip away at opponents' damage percentages with his quick strikes and his specials, but lacks a reliable finisher. Palutena Bow (Neutral B): A reliable, chargeable projectile that can be curved after it's fired. It won't do a lot of damage, but is a decent edge-guarding tool. Power of Flight (Up B): This is strictly for recovery and will do no damage. It does get great recovery distance and can be aimed in different directions. Upperdash Arm (Side B): This move deals moderate damage, but Pit's dash gains super armor properties and can plow through (sometimes even reflect) most projectiles. It takes a bit to start up, though. Guardian Orbitars (Down B): Pit takes his trusty Guardian Orbitars and creates dual shields in front and behind him. They'll reflect most projectiles, not only sending them back with greater power, but also with greater speed. They'll also push opponents back, allowing for some edge-guarding shenanigans. Lightning Chariot (Final Smash): Canonically, the Three Sacred Treasures have been destroyed by Hades, so they're out the window for Ultimate. But during his most recent adventure, Pit did pick up a cool new Lightning Chariot, which now acts as his new Final Smash. This behaves similar to the Dragoon item, with Pit plowing into a target for an almost-definite KO. Like many of Ultimate's characters, Pit is faster almost across the board. His dash is particularly faster, allowing for a quicker and more efective dash attack. While his neutrals are largely unchanged, outside of a few tilts getting adusted for quicker execution, his forward-smash has been adjusted to hit harder on the second hit. Pit's specials are mostly untouched, outside of the aforementioned Final Smash. There is one noteworthy change. 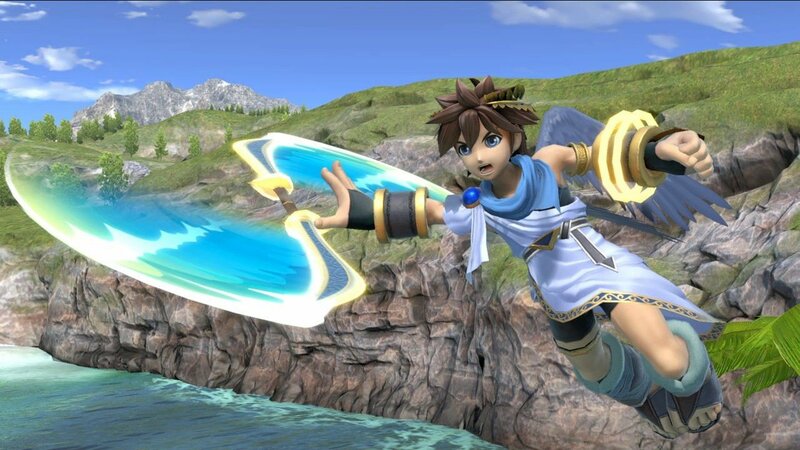 Using the Power of Flight now allows Pit to reach for a platform behind him. That's actually a pretty huge change, allowing for Pit to potentially sneak around under stages, Jigglypuff-style. The problem with Power of Flight is that it now leaves Pit floating briefly at the end, leaving him open to attack. As a mirror version of Pit, it's pretty obvious why Dark Pit looks almost exactly the same as his counterpart. However, they do have a few minor differences. Dark Pit utilizes a neutral special Silver Bow, which can't be directed as much, but does significantly more damage. His Electroshock Arm side-special deals slightly more damage, but sends opponents towards the side while also shocking with electricity. 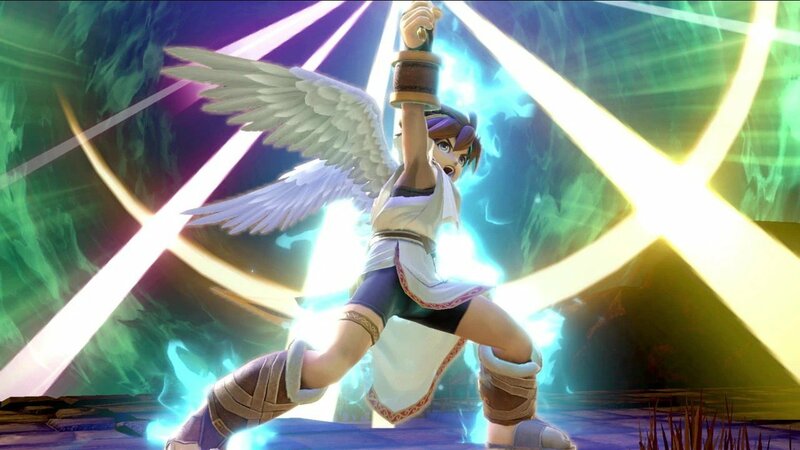 Unlike Pit, Dark Pit uses his Dark Pit Staff as a Final Smash, hitting opponents with a powerful beam that inflicts massive damage. Outside of that, Dark Pit is mostly the same as Pit, right down to the improvements and nerfs received between now and the previous Smash Bros. game. The crew at VGBootCamp are leading off, going through Pit's full arsenal. They observe that his neutrals and aerials appear to be overall faster. They also note some of the changes to Pit's specials and how they'll help him going forward. The Smash Studios crew of Evan "PB&J" Holland and Pit main Archangel are up next, going a little further in depth on what Pit can do. On top of that, they dive into the differences between Pit and Dark Pit, specifying their distinct styles. Samuel "Dabuz" Buzby had no love for Pit in Smash 4. And while the character hasn't changed too much, he does note that Pit is set to benefit greatly from Ultimate's mechanical changes. Looking to bolster your Pit gameplay by example? Japanese player Kuro wasted no time diving into this character shortly after Ultimate's release. Here's a good example of him putting Pit to work. And for those looking for Dark Pit gameplay, here's a look at Rafael "Raf" Domingo, from this past weekend's Don't Park on the Grass. Super Smash Bros. Ultimate is out now on Nintendo Switch. We're still going through every single character, so be sure to check back in often for more profiles. For loads of extra details concerning Nintendo's latest Switch brawler, including Spirit collections and fighter unlock requirements, be sure to head over to Shacknews' Super Smash Bros. Ultimate walkthrough and guide.